If you took away all the oil and natural gas we use day to day, our lives would look vastly different. From taking hot showers to driving to work, oil dependence is real. In 2013 alone the total liquid fuel consumption in the U.S. rose by 400 billion barrels per day. In 1987 California hit peak oil production, and the rest of the nation has followed close behind. Since then, global and U.S. reserves saw steady decline through the ‘90s and early ‘2000s, until a confluence of new developments made previously unreachable pockets of gas and oil accessible. But since 2008, U.S. oil reserves have actually been on the rise, due to advanced production methods—most notably directional drilling and hydraulic fracturing. Today, there are approximately 4,614 onshore oil and gas wells in the region, making up the oil fields that fill the space in between day to day destinations—homes, work, school, shopping—the rigid, looming towers that have been a part of the landscape for so long that we hardly notice them anymore. But efforts to rejuvenate abandoned oil fields with newly developed techniques are bringing these sleeping giants back to the forefront in a new era. “Everyone wants these resources because of the return on these investments, which are 100 to 150 percent. These are high dollar investments with high returns,” Ferrar said. Through directional drilling, fuel deposits can be reached across a section of shale when drilled horizontally. Directional drilling is used in tandem with what are known as “unconventional well stimulation” techniques, including acidization and hydraulic fracturing, more commonly known as fracking. Acidization involves using a solution of water and hydrochloric acid to increase the pore size within the dense rock that holds pockets of gas and oil, essentially dissolving portions of the rock. Hydraulic fracturing uses a viscous solution made of pressurized water, sand and chemicals to release the resources within them. As the land-grab unfolds to activate new leases on old wells once exhausted through conventional means, regulators and environmental advocates scramble to assess the risks posed by these unconventional methods that have reinvigorated activity within the oil industry. 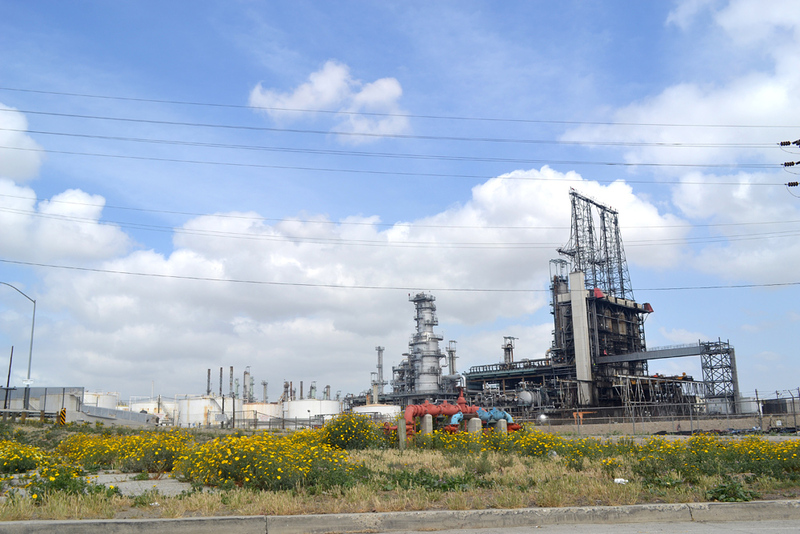 Culver City has taken the lead, enacting the state’s first local moratorium, and at the time of this writing the City of Los Angeles has a draft moratorium pending vote. Statewide, the passage of SB 4 in 2013 ramps up oversight on hydraulic fracturing by requiring full public disclosure of all chemicals used, neighborhood notification, and groundwater testing before and after fracturing. FracTracker’s research and database of violations incurred at hydraulic fracturing sites was included in a recent report on the increased earthquake risk related to these processes. Published jointly by Clean Water Action, Earthworks and the Center for Biological Diversity, “On Shaky Ground” details increased earthquake activity in many areas of the U.S. where fracking has been adopted, including regions in Texas and Ohio where no previous seismic activity has been recorded. “The men and women in the petroleum business who understand how this process is done are kind of baffled by the controversy around it,” said Tupper Hull, Senior Vice President of the Western States Petroleum Association. Hydraulic fracturing was conducted at roughly 800 wells in the state in 2013, according to Hull. Groundwater contamination, methane emissions, and induced earthquakes are among the most serious concerns surrounding hydraulic fracturing and the processes related to it. A separate but inherently related process that also warrants cause for concern is wastewater injection, in which chemically contaminated water used in drilling is injected back into the ground for storage.